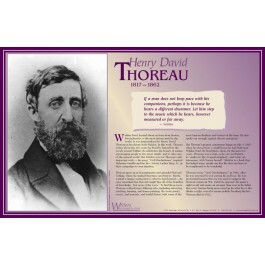 This poster features a photo of the great writer and thinker Henry David Thoreau, along with a concise biography, and a quote from his his most famous work, "Walden." In "Walden," Thoreau advocated living simply with an appreciation for the natural world. 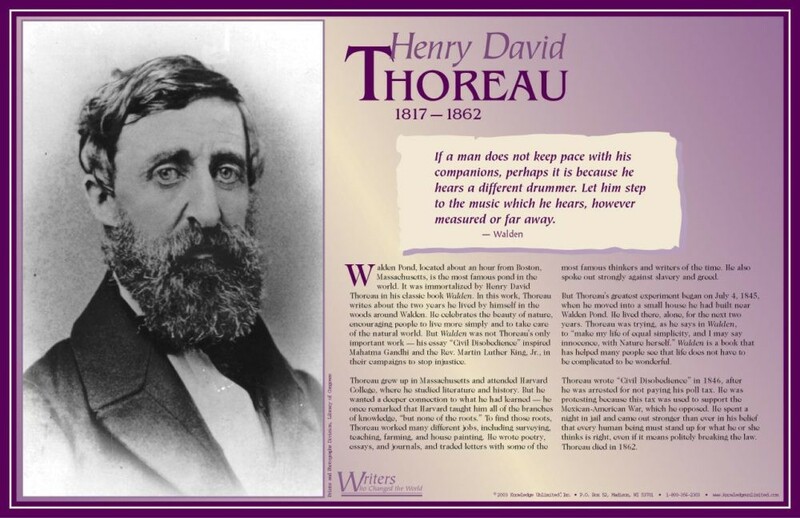 But "Walden" was not his only influential and important work. His essay "Civil Disobedience" inspired Mahatma Gandhi and Martin Luther King Jr. in their fights for social justice.